Sometimes, I hear the word “hero,” and I cringe. To me, the bar has to be pretty high to earn that title, so I’m careful to use the word, rather than throw it around thoughtlessly. For the past week, I’ve read some of the many tributes to Dr. Solomon; a favorite was written by Michael Specter, a staff writer at The New Yorker who has written much about the AIDS pandemic. He recounts an interview with this remarkable physician-scientist-researcher-humanitarian, when she told a story of the tragedy wrought by systemic stigma in the world of HIV and AIDS. 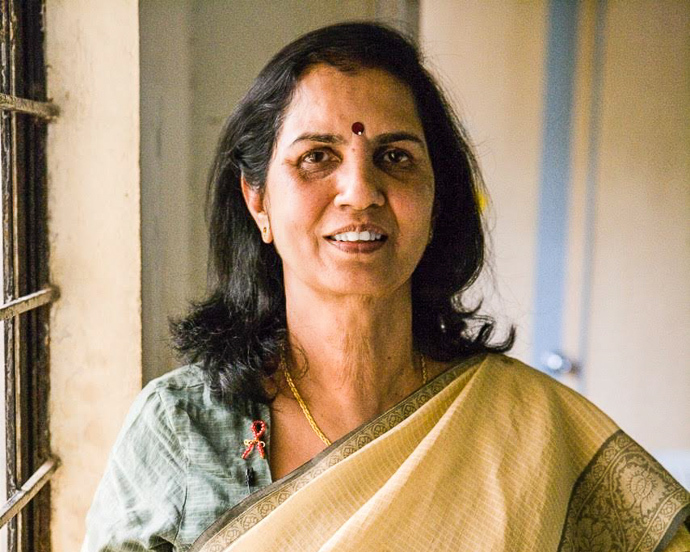 As a doctor, mother, wife and particularly humble humanitarian, this was what she railed against; she knew that stigma would be the force that would keep HIV underground, able to do irreparable damage to her beloved India. Stigma allows HIV to kill like no other force really, and she was determined to spend the last 30 years of her life trying to overcome it. At USAID, we are seriously fortunate to support a lot of remarkable people trying to find permanent solutions to really big problems like HIV and AIDS. It’s an amazing privilege afforded by the American people to approach these daunting issues that plague our fellow man. In my three decades of working on the AIDS problem, and eight-plus years working at USAID, no single partner or investigator has affected me like Dr. Suniti Solomon. As part of the Agency’s portfolio dedicated to finding an HIV vaccine—which one day will be added to the unparalleled efforts of the U.S. President’s Emergency Plan for AIDS Relief (PEPFAR)—we supported Dr. Solomon’s clinic in educating vulnerable Indians to protect themselves against the virus, get tested and, if it was right for them, volunteer for an HIV vaccine trial. We were certainly not alone in recognizing Dr. Solomon’s research capacity; she has been awarded many NIH grants which have provided a plethora of noteworthy scientific contributions. 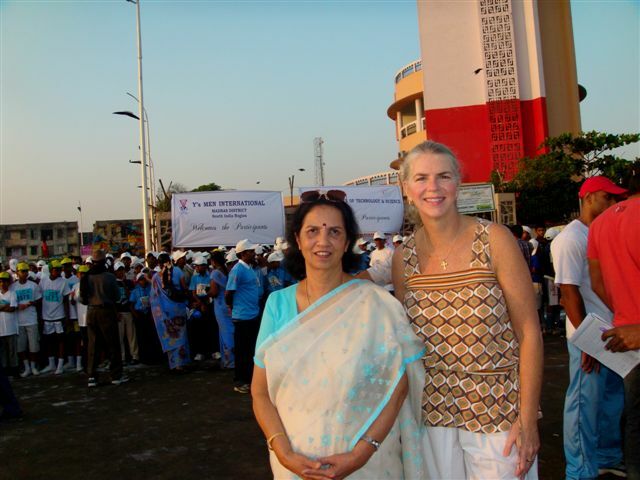 I remember being bowled-over the first time I visited and saw the volume of research charts in her clinic at YRG Care, the NGO she started in response to the needs of those who needed care, support, education and information about HIV awareness and prevention in India. How lucky was I, a nurse who’s been at this fight against HIV and AIDS for decades, not only to conduct periodic site visits to Dr. Solomon’s clinic, but once to be seated beside her on a long flight back to Washington, D.C. She had a speaking engagement at the Indian Embassy to discuss her success in helping HIV-positive people become parents of uninfected children. She shared many memorable stories in that transitory but intimate space. She spoke of taking blood samples of about 100 women awaiting incarceration for prostitution in 1986; six of them were confirmed HIV-positive by a friend’s lab at Johns Hopkins University. That proved despite widespread denial that HIV was a very real problem demanding immediate attention. That we worked at Chicago’s public hospital, years apart, was incidental, but an engaging source of our conversation—she as a medical resident in pathology, and me as nurse in the Women and Children’s AIDS clinic, before we had much of anything to offer them. On that flight, I listened intently. We laughed, we cried a bit, as she recently had lost her husband, one of India’s premier cardiovascular surgeons. We shared a lousy airplane meal, we napped a little and really enjoyed one another’s company. Later, I would nervously cook my first genuine Indian cuisine and serve her on my best china in my dining room. Now, I’m looking back on what an honor it was to have supped with a real hero – to enable the work of a real hero – to be in the presence of a real hero. How lucky we are to be with people who really do make the world a better place. Now, it is for us to carry on such a legacy and end AIDS. Margaret McCluskey is a Senior Technical Advisor in USAID’s Office of HIV/AIDS working on HIV vaccines. Follow her @m3indc.